If you're looking for a new ride that screams "tactical," this is a deal you shouldn't pass up. GovPlanet, an online marketplace for federal agencies, is about to auction a limited quantity of Slant Back humvees direct from the U.S. Marine Corps. The best part: they're selling for as low as $10,000. Over the next couple months, civilians will have the chance to bid on a limited number of authentic Slant Backs. These humvees are hard to find. Most of them have aftermarket slant kits or have been modified for troop transport or medical purposes. The Marine Corps. primarily designed the Slant Backs with structural integrity in mind. The slope makes the boxy vehicle more aerodynamic and stable. There are a few tactical advantages to having an angled back, too. The slope reduces the angle of impact from artillery blasts, and it allows gives rooftop gunners a wider firing range from the rear of the vehicle. Sure, those aren't chief concerns for a civilian, but this is one rock solid and incredibly badass vehicle. Act fast, though -- these Slant Backs won't be available for long. 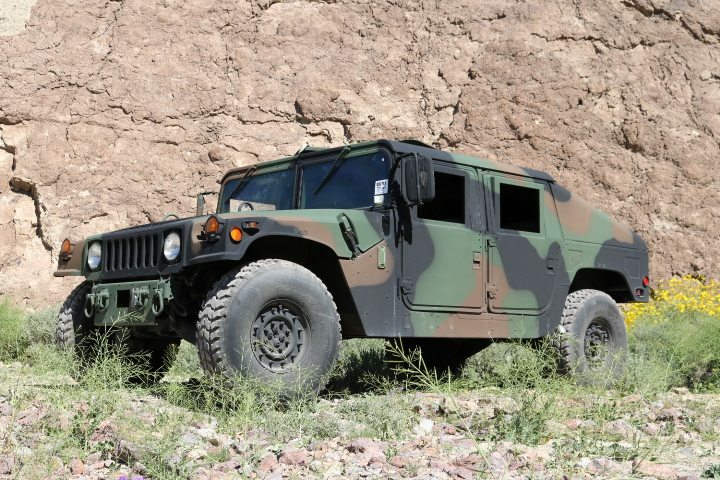 GovPlanet currently has hundreds of humvees for sale, starting as low as $1,000. The company sells a variety of military surplus items in their Wednesday auctions, including various types of automobiles, excavators, forklifts and more.